It may not be the biggest surprise ever at Target, but it’s close. You can now buy Intelligentsia coffee at Target. It’s in the aisle next to the Folger’s and Yuban and Starbucks. 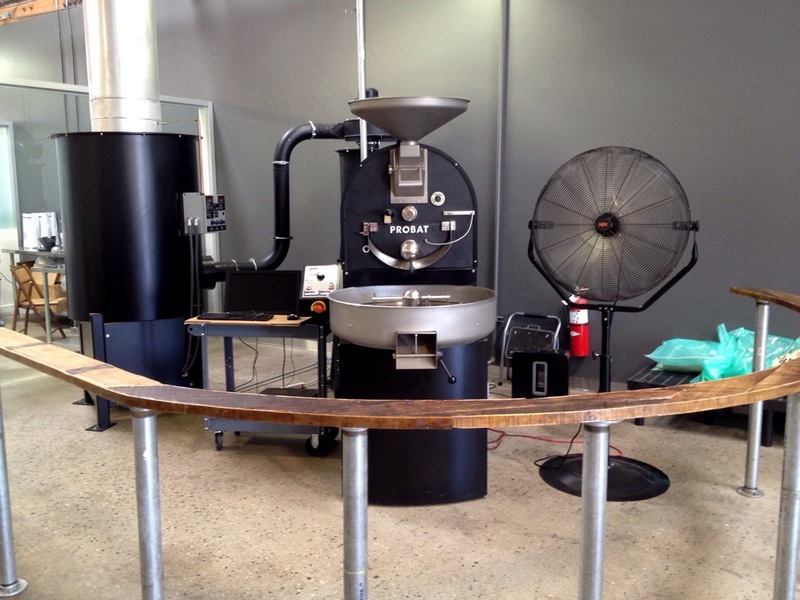 Long Beach has a surprisingly good coffee scene, with Lord Windsor Roasters and Rose Park Roasters leading the charge. It’s worth checking them out if you’re in the neighborhood. They say that in France a bakery can be great at bread or great at pastries, but not both. Lodge Bread in Culver City stands as a testament to that principle. Let’s get this out of the way: Lodge Bread makes a great loaf of bread. A real rival to Clark Street Bread for the title of best loaf in the city (and by that, I mean, best Tartine imitator in LA). I just wish I had gotten my bread and gotten out of there. Culver City, considering its reputation as a food destination, has been relatively weak in good coffee. Cognoscenti is awesome. Akasha and Rockenwagner serve Stumptown. Scoops Westside pours Intelligentsia. But the only real roaster in town has been the Coffee Conservatory, an older place near Sony. Bar 9 opened a couple years ago to make sure that hipsters who got lost and wandered into the Westside would have somewhere to get coffee. It has been a very long time since I’ve done a Demitasse pastry update. I thought I’d take the opportunity to highlight the fact that they carry Sugarbloom pastries now, which are pretty great, and reflect back on Demitasse briefly. Pershing Square is an odd place. Framed by the Jewelry District and the Biltmore Hotel, it is an inhospitable island of urban blight. (Read up for more info: KCET history of Pershing Square; Thoughts on redevelopment.) But a couple new food places are popping up, including the very ambitious Pitchoun! Bakery. Opened by actual French bakers with an apparently unlimited budget, does Pitchoun! live up to its aspirations to become a destination in the nascent Downtown dining scene? 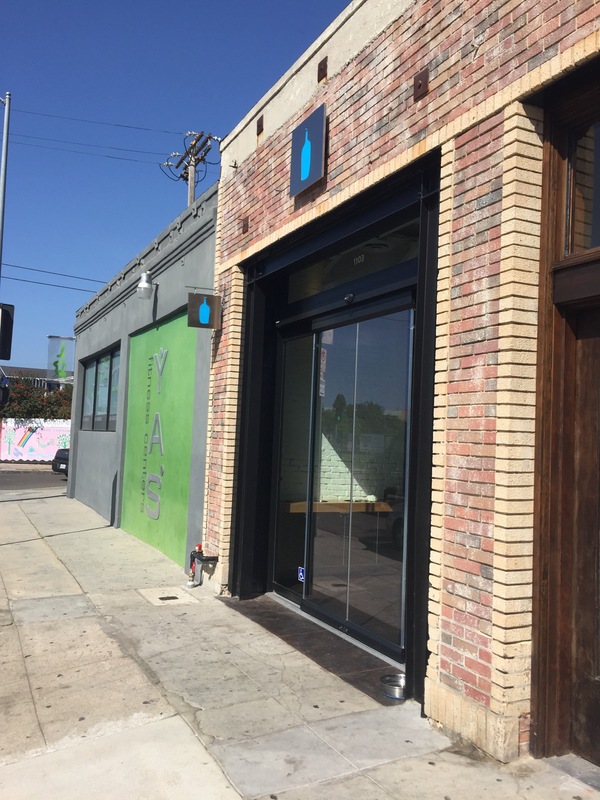 Blue Bottle Coffee is hitting LA, starting in the coffeedouche-friendly confines of Abbot Kinney and the DTLA Arts District. While Blue Bottle’s arrival is welcome, it means the death of LA’s Handsome Coffee — true coffeedouches, but they made a fine cup of joe. I visited the newly opened outlet at the north end of Abbot Kinney. Expect tiny, with no place to sit, and of course, no WiFi.